Vote now: Which design should be the PRWeek US March/April cover? 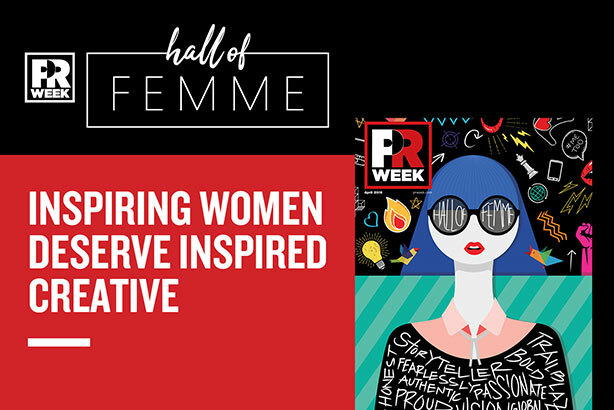 Vote for the PRWeek March/April issue cover, which features the 2019 Hall of Femme. Voting ends Tuesday, February 26, at 5:30 p.m. EST. The entries are in — now it's time to pick a winner. We asked the industry's creative genius to submit cover design ideas for our March/April issue celebrating the Hall of Femme honorees, and it responded in overwhelming numbers. The last step is to decide which one is the best. Scroll through the entries in the gallery below and then cast your vote for your favorite. The PRWeek editorial staff will make a final decision on the creative that is selected as the March/April 2019 cover. Voting closes Tuesday, February 26, at 5:30 p.m. EST. Is a PR job candidate persona non grata without a thank you note?